Now you can share your love for the all in one glue, sealer, and finisher in a different way! You can now buy t-shirts, hoodies and more! We have some awesome new valentines crafts for your kids. This year we have created three fun Valentine’s Boxes using Apple Barrel paints. 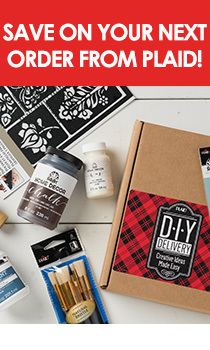 Enter to win a prize pack of Mod Podge Ultra and other craft supplies from Plaid!